My Story With Drop-shipping & Mistakes | Its really hard! CPA Elites - CPA Marketing Forum CPA Marketing, Help Desk And Experiences Non Incentive CPA & Ecommerce, Dropshipping My Story With Drop-shipping & Mistakes | Its really hard! Hi, the TheBrute here again with an amazing share with you guys! First of all, I would like to discuss how I started drop shipping, what I did, and how it worked for me! For those who don’t know what is drop shipping, can refer to this article. Till now I have done over 50K$ in sales within 4 months with two stores. This article describes my story pointing out all the mistake I made during my journey. Almost every point I mentioned should be considered important, ignore the variables what I don’t talk about! I have also talked about the apps and software I have used and I recommends only which are useful. A Store. ( I would Recommend Wordpress). If you don’t know, how to you use wordpress, you can order a custom store on Alidropship and they’ll handle the rest. How to install plugins and themes in WordPress. I don’t recommend you to go with Shopify, it will eat up your budget soon. Many guys in front of me have done over 10k sales a day and over 500k$ sales per month with 20-40% net profit. PS: You can skip my story and continue from Targeting strategies, but I have mentioned what main mistakes I made in my journey. VV - Video Views Objective. LLA - Look Alike Audience in Facebook. 95% & 75% Video viewers are people who were interested in your advertisement video. I started drop-shipping in 2016 December after getting pitched & excited from those bulky screenshots from bragging Gurus over the internet, it was fascinating as well as very seducing that made me enter into the drop shipping thing. I signed up for 60 days Trial Shopify! Phases Below Describes Every Step I took During My Journey. I was spending like crazy over Facebook ads with only aim to become a millionaire in the first month lol. I thought FB ads were easy and I can master it after watching 10-20 youtube videos because every video taught something different which motivated me with feeling that this time it will work. No experience with FB ads, I had money in the pocket so just spent it massively. No experience with product research, I tried to sell what fascinated me always! Finding a new unique trend that nobody ever had discovered in past was my biggest mistake, like finding a new fidget spinner. Finding a new Bitcoin-like thing. I remember I tried over 100 product and was not getting results as expected, and till date I haven't found my winner/ace product yet and I was struggling to get even single sale a day. Till this time I had spent over 5k$. Always tried to target USA, AUS, CANADA, UK & NZ as taught on youtube and by Gurus. Always checking one product with one audience type in technical language one adset per product on Facebook (Biggest mistake). Fascinated By Shopify themes and apps as per recommendation by gurus and wasted ton of money. My chosen theme was not optimized for conversion and doesn't look like a real shop! 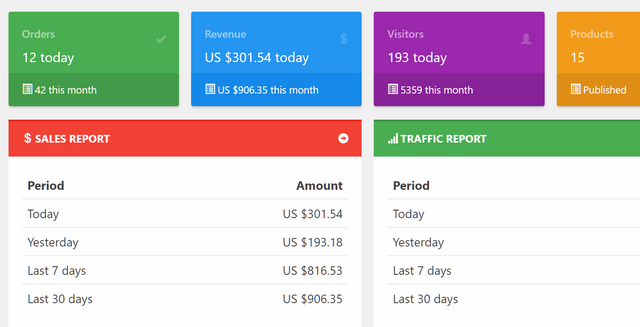 Paid Shopify for 2-3 months as trial was over, and “the transaction fee” to Shopify even I was not using Shopify payments I have to pay 1-2$ for every transaction that occurred over the store so in total 3 months I paid 400$ to Shopify alone with apps. I was getting sales but was still running heavily negative in ROI (Return Over/On Investment). I was fascinated with products that gave me sales even it was not profitable. I did not test products over a different audience. Used Shopify as other people recommended and never got results with it, I would recommend you to please shift to other cheaper platforms and once you hit your numbers, you can hire local guys to outsource your stuff. Being a student I had spent all the money I earned from here and there like with the Instagram influencer and web hosting affiliate marketing and some Fiverr gigs and I was on the road to quit drop shipping out! But still after watching and reading motivational blogs as well as quotes, I took the risk of my carrier dedicated to be a drop-shipper and as an affiliate marketer, I stood up to rise again and this was the time of 2017 October when there was huge competition in Facebook ads and still I was targeting Big 5 countries as I mentioned above blindly. I took the step out of my fleet tried a product that was working for others according to my research which was neither spooned by any guru on youtube nor even I got to know about it on any course, I just blended everything up. I shifted from Shopify to WordPress (Alidropship) taking some hopes in heart that one day dropshipping will work for me. In spite of trying product I liked, I tried the product which was working for other stores with better values and better offer, instead of copying other store product descriptions, I wrote myself as I was doing with affiliate marketing. This time, the difference was instead of digital product it was a physical item. I started getting more sales than ever before! Then in November, I was going to quit, but I asked my family for money and my mother gave me around 6k$. However, this time it was do or die for my dream as an entrepreneur. Believe me or not, in this phase I was trying the products which were working for other competitors and caching trends, and boom I found my first winner product and just after that another winner product and this was the time I was enjoying my hard work from past 1 year I was doing 900-1800$ each day with 20-30% profit margin for next 5-6 Weeks and after that product died out. Although I was not able to scale to 3k-5k a day, I was able to write up my own recipe to find and test products. In December, I got another winner product that changed my life. In the Below Image, I experienced the first winner product, as my 5$ budget adset gave me 9 sales on the first day! I was trying to scale the above product and was little successful, although I was investing in testing scaling adsets with different strategies. And the last it worked and I was profitable with this scaled adset, for around 3 Weeks. The below stats are of january. Some Real stats on Facebook dashboard! Yes you need to invest in the testing but once you hit the winner you can recover 10x what you invested, but it is only possible when you do it with perfect strategy and plan. You need sales not "Add to carts", if you cannot manage the profit at low price at which you are getting sales, stop selling that product. Like in below image I got so many ATC but the conversion was not good. In the Below, Image second is the winner product, while the first getting sales but not profitable, I tried almost 25+ audience forcing it to work but it did not. Well, there are two types of interests on Facebook. Broad & Targeted interest respectively. Note: I see people understanding broad interest and small/narrow interest on the basis of size. Broad interest & Sub Interest - It is just general one-word interest in which it contains all the basic and sub-interest under it (Sub interest can be called narrow or small interest). For example, “dance” or “dancing” can be considered broad interest under which sub interest like “dance class”, “dance school”, “dance club” etc, will come. So the point is people interested in “dance class”, “dance school”, “dance club” are interested in “dance” (the broad one). But not all who comes under broad interest “dance” or “dancing” know about sub-interests. In more depth, people would know what is dance. Facebook might keep them under broad “dance” interest but many of those people would not be interested in dance classes, and other dance subcategories. Hope you got what I am trying to say lol. All the Long Interests ( like “ ABC XYZ” OR “ABC DEF GHI” etc more than 2 or 3 words) come under narrow interests category and only specific people know it. Tried over 5-10 Product and it did not work out for me, I was getting sales here and there, but was not profitable. Cold & Hot Audience - Unless you have a niche brand where you sell one or similar items in your store don’t try to go with this method. Flexing- This always gave me higher CPM for the USA at starting like 70$ but for WW 10-15$ (Cost per 1000 people reach), but once you have experienced ups and downs these all strategies do work :D.
If you don't know what is flexing and stacking just google it. You can find tons of product research video over the youtube, try them and figure them out, also watch some FB ads video but don’t get carried away with the stuff the guys mentions :) use your common sense. Recommended Metrics the ads:- For Big 5 Countries for low range product! CPC (Cost Per Click) = Under 1$ , but if are profitable with high ranger product, keep it running. CTR (Click Through Rate) = This shows how many people are interested in your product, indirectly how your advertisement impacted your targeted audience to buy the product you are advertising, so the more CTR the more good chances to get sales thus low CPC. Metric before Killing & scaling Adsets! After 500 Reach you haven't got any shares or less than 4 shares on your post, it means people are not interested in it you have test different audience or try a new product. People will say that keep running you ads for 2 days and 3 days before killing it, this was the reason I lost all my money in FB testing, At starting, I get few sale on a new product and none for next 2-3 business days the cost per purchase keep on increasing and never become profitable ( but yes you can test different audience with same product), FB can’t find buyers, don’t stick to such product. Beware of lucky sales, I don't know how this happened but sometimes, just after you launch new adset for new product you get a random sales and nothing more than that. Before scaling you must check whether the adset giving you sales is constant or not, your adset must have the consistency of giving 3-4 sales each day for next 3 days. Before you scale the ROI must be more than 3x as it will gradually decrease as you continue to scale. You Don’t Need Any Guru Course To Build Your Ecom Federation! Except for only few guys, hardly anybody has discussed about writing a perfect blend of adcopy! When you are advertising on facebook, people are scrolling over the feeds and whenever they find something interesting they stop and watch it whether its an image or a video. That interest we want into our ads, your audience must show interest over your ads and this is only possible when you blend your product with their needs and passion but not yours! Your adcopy must engage them, should be eye catchy & professional. You must always argue, question, surprise, bug or even accuse your audience to stop them from scrolling. I always ask a question and accuse them or write a funny line related to my video lol. Your creative must be exciting to your audience so write your ads in a way they look perfect, within first 7 seconds of the video you have the chance to convert the viewer into a buyer. I do budget 10-15$ adsets even 8$ are enough for Big 5 testing phase. I always do more than one audience now. Always use 1 day conversion window, 7 day never worked for me. Always check people who live currently in this location. Always use “Add To Cart” Or “Purchase” conversion pixel, you don’t need any custom conversion nor a seasoned pixel! This question confused me very much at starting, but after personal testing and results. I am on the conclusion that Facebook optimizes your ads at the adset level nothing more than that. Do not try “view content”, do not try “Engagement Ads(PPE)”, I don't know how it works for some guys but it don't work for most! For retargeting use DPA ads & reach as objective. WHAT METRICS IF YOU DON’T GET SALES? Solution can be - Just change your product page description a bit & reduce price. Even if you are not profitable, kill! Facebook sends real people to your store, so your store must be compelling & real in order to get sales. Commerce Inspector - if you can figure out how to use this correctly, you can find winning product very easily. FB Audience Insight Plus - I don’t know how much time I wasted finding small and highly targeted interest (sub interests or narrow interests discussed above), which never worked out for me. FBDOWN.NET - to download competitor Video. Filmora & PS - I use it to edit videos with photoshop. Connectio.io - Full of waste!! Ecomhunt, pexda, and any other sites - are just earning money from you guys, although I don't recommend them. Companion labs - yes they work, you can try once you hit a winner. Listen, you don’t need to buy any course all the basic & technical stuff is on youtube for free & still if you want to try courses I suggest go with group buy sites you can get courses way cheaper than there actual price. But still, no course or no one will teach you their secret sauce, you have to understand it! Most of the courses I tried to teach basic and technical stuff like how to set up fb ads! They don’t teach how fb ads work! some of them do teach about pixel seasoning which is outdated now! Facebook is way smarter than we think! But what do you need is the perfect strategy to test product, and how to be profitable. So after you watch youtube videos & courses, write down everything on paper then plan yourself to make the best strategy out of what you have learned so far to test products. Thanks for the share mate, Got some very useful information about Dropshipping. Thanks for sharing this guide, bro. NICE thank you for sharing this! Good share mate. Very useful information for people who want to earn from dropshipping. I was confused what to choose, shopify or woocomerce and you answered here. I think that question is on the lips of many people which want to start with a small budget. (2018-03-29, 02:22 PM)Xenobier Wrote: Good share mate. Very useful information for people who want to earn from dropshipping. You can use my affiliate link if you are going with aliedropship! or you can try big commerce and magneto too! (2018-03-29, 05:31 PM)helpme Wrote: Hey, awesome share, thanks! Thank you for sharing this! Lots of useful informations!